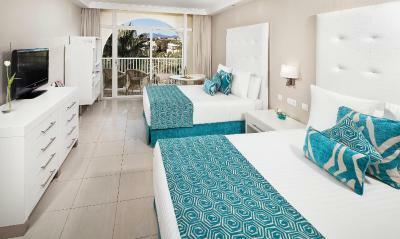 Lock in a great price for Melia Marbella Banús – rated 8.2 by recent guests! the view from my room was amazing and the room was as well good. Good location. Rooms are spacious. Reasonable prices. The location is good as its near to puerto banus, the staff are very rude and they don’t even smile ,except Patricia and anna in reception and lady working in the spa. Excellent location adjacent to the broadwalk and shopping. 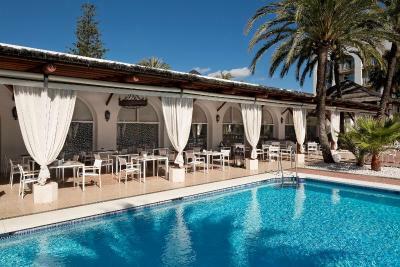 Quality hotel, excellent location, very clean, breakfast good , sunbathing area excellent . Staff Friendly. Everything, including the rooms, pools and breakfast buffet. Even the color, i like the way which everything in white, it was so cool. It give feel sense of cleanliness and peacefulness. 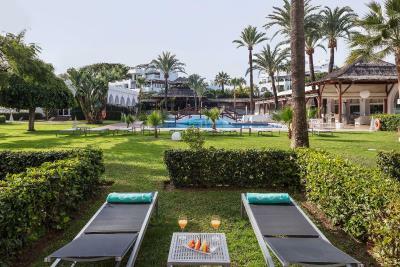 Melia Marbella Banús This rating is a reflection of how the property compares to the industry standard when it comes to price, facilities and services available. It's based on a self-evaluation by the property. Use this rating to help choose your stay! One of our top picks in Marbella.The luxurious Meliá Marbella Banús features 2 outdoor pools, including special areas for children. 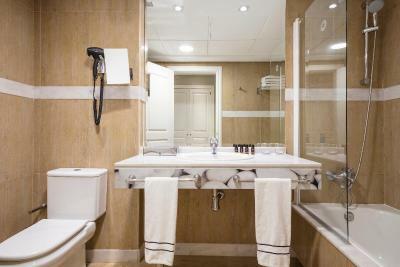 Guests have free access to the spa area with a sauna, Turkish bath and hot tub. 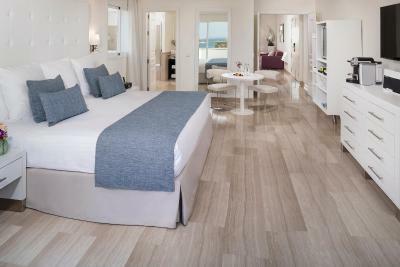 All rooms at the Meliá Marbella offer interactive satellite TV and a safe. 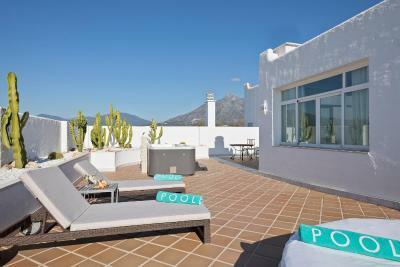 Air conditioning and heating are offered seasonally, and the private balcony features views of the pool. 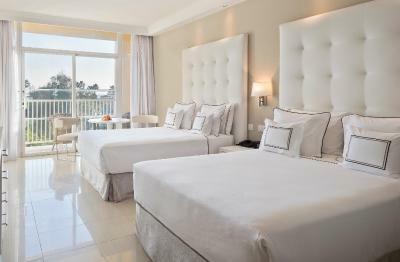 The hotel also dedicates some of its areas to The Level exclusive rooms and services, where The Level guests have private access to The Level Lounge with open bar and private buffet, daily cocktails, press and concierge services and pre-arrival services. 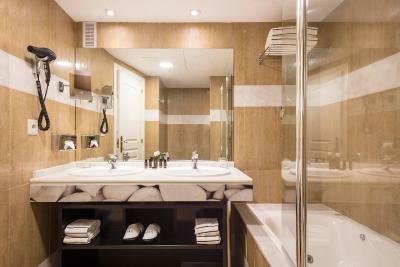 Rooms include pillow menu, superior amenities and toiletries, children amenities, iron services, sound bar, flat-screen TV with satellite channels, Nespresso coffee machine and turndown service, fragrances menu, among other services. The main outdoor pool is surrounded by gardens. 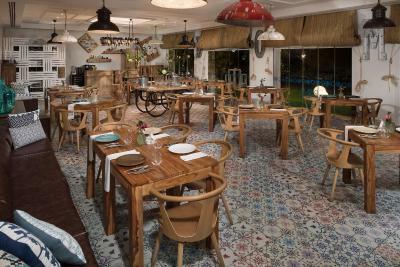 Guests can enjoy buffet meals at the restaurant. There is also an indoor pool. 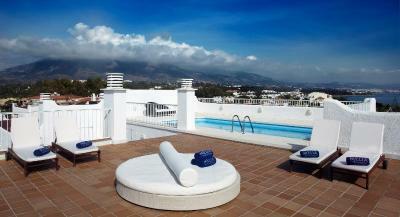 Meliá Marbella is in the heart of Puerto Banús, 350 feet from the sea. 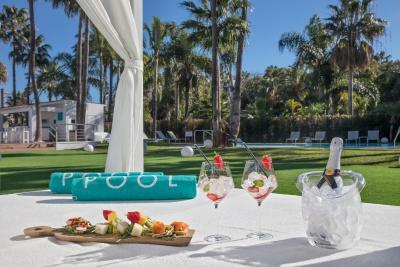 The Las Brisas Golf Club is a short drive away, while Pablo Ruiz Picasso Airport is 45 minutes’ drive away. 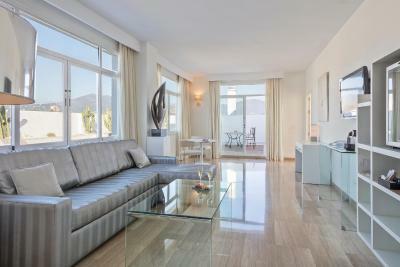 When would you like to stay at Melia Marbella Banús? 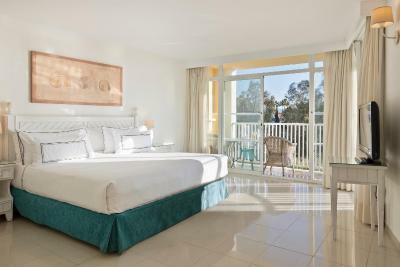 This spacious, air-conditioned room has a private balcony with views of the gardens or pool. Decorated in soft colors, it includes satellite TV and a safe. 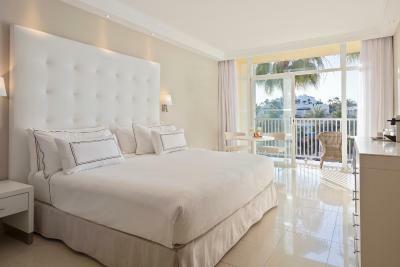 This spacious, air-conditioned room has a private balcony with views of the gardens or pool. 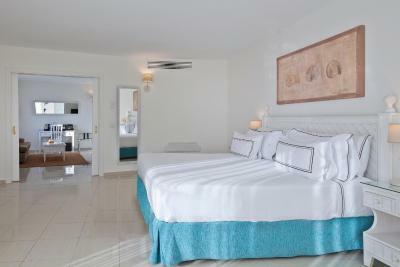 Decorated in soft colors, it offers 2 double beds, a satellite TV and a safe. The room is located on the ground floor and has direct access to the garden. 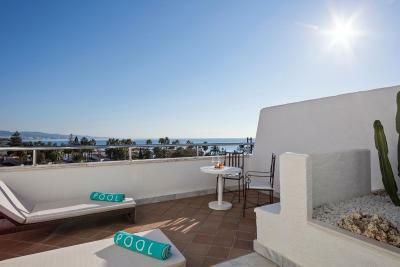 Located on the top floor of the hotel, this room has a private terrace. 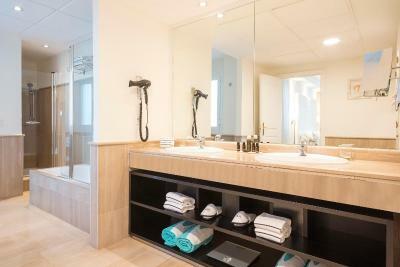 It also features VIP toiletries, a pillow menu, feather duvet, Nespresso Coffee Machine and scent menu. Please note children under 12 cannot be accommodated in this room type. 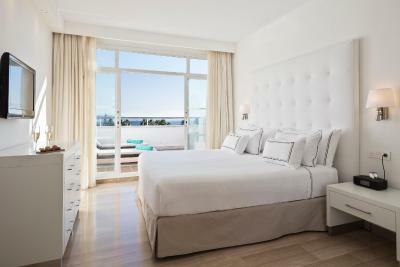 Located on the top floor of the hotel, this room has a private terrace with lateral sea views. It also features VIP toiletries, a pillow menu, feather duvet, Nespresso Coffee Machine and scent menu. 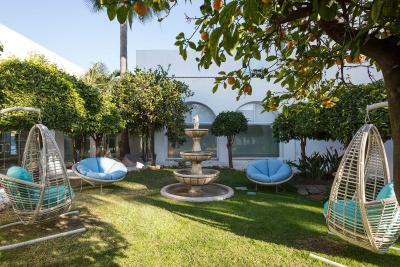 This attractive room opens onto a private garden with direct access to the pool. It also features VIP toiletries, a pillow menu, feather duvet, Nespresso Coffee Machine and scent menu. 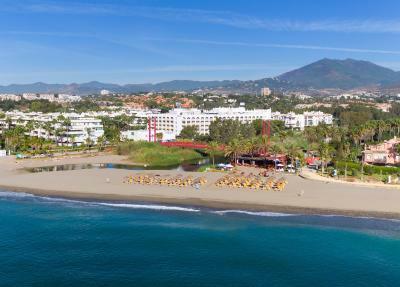 You will also receive the Meliá Passport, which entitles you to discounts in restaurants and shops in Puerto Banús. 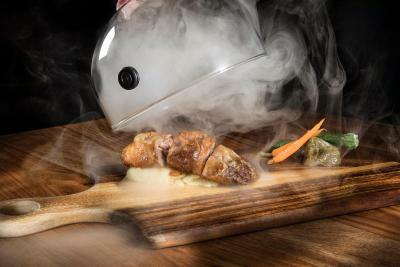 Room service is available from 07.30 until 23.00. This luxurious suite features a seating area and a terrace. 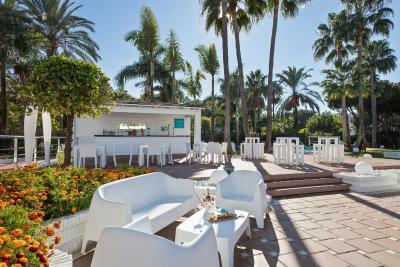 You will also receive your own Meliá Passport, which entitles you to discounts in restaurants and shops in Puerto Banús. 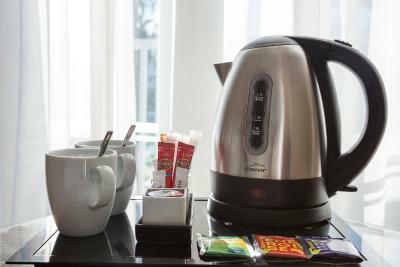 Room service is available from 07.30 until 23.00, and private check-in and check-out is also available. Children under 16 cannot be accommodated in this room. Set on the ground floor with direct access to the garden, this spacious family room includes 2 double beds, a satellite TV and a safe. Located on the top floor, this penthouse features 1 presidential suite and 1 double room. They both include a king-size bed and an private bathroom. 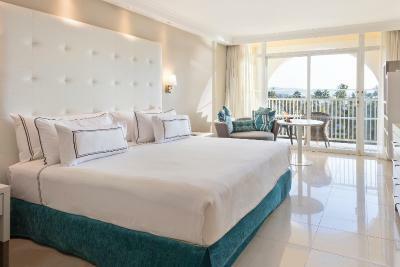 The spacious presidential suite has a living room with an open-bar with premium brands, dining area and a terrace with panoramic views of the Mediterranean Sea, the city and the mountains. 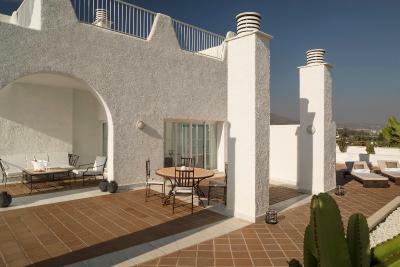 Spread into two levels, the terrace also features a private swimming pool and sun loungers. - Daily use of 1 balinese sunbed in the pool area. Located on the 4th floor, this more spacious and bright room has a terrace with views of the garden or pool or surroundings. This family room features a balcony, tile/marble floor and satellite TV. 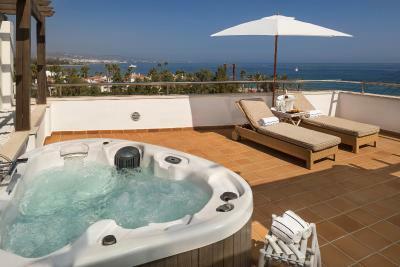 This 197 ft² suite has a large terrace overlooking the sea equipped with sunbeds and a hot tub. The room has a private lounge, a bedroom with a king-size bed and a large bathroom with a hydromassage bath and LOEWE amenities. 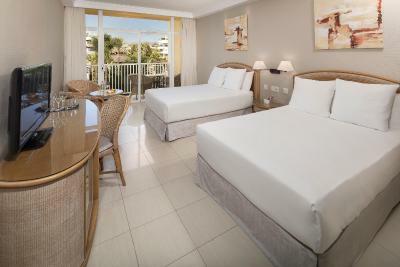 This triple room features a balcony, air conditioning and soundproofing. This double room has a balcony, tile/marble floor and air conditioning. 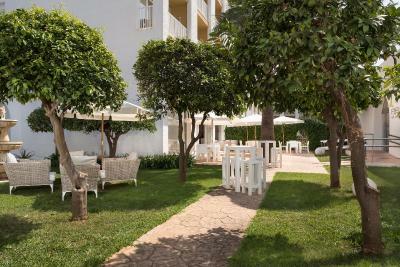 House Rules Melia Marbella Banús takes special requests – add in the next step! 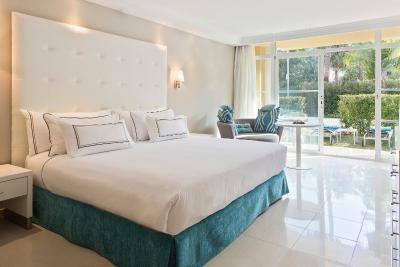 Melia Marbella Banús accepts these cards and reserves the right to temporarily hold an amount prior to arrival. When booking half-board and full board, please note that drinks are not included. 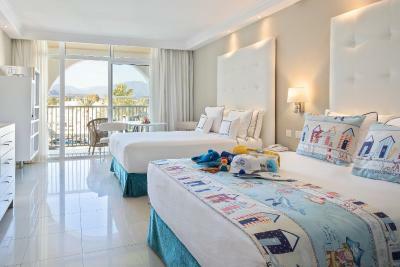 Having stayed at melia banus twice before, we were very disappointed when we returned, as our stay was not as enjoyable as previous stays. What was the adults pool is now the kids pool, and the previous kids pool has gone, our kids were really disappointed. Not enough sun loungers, with people arguing over them, I would hate to see what the poolside is like in the height of the season, as there is not as much room either for sitting around the pool. The bedroom and bathroom was lovely, and very clean. Expensive, extremely dirty, mr. Alvaro from the reception very rude and unpolite! Not enough tables for the breakfast, we had to wait up to 10 minutes to enter the restaurant. No value for the money! Only the location, the rest was a disaster! I was very confused and inconvenient at check in as nobody was available to help with luggage or car parking. 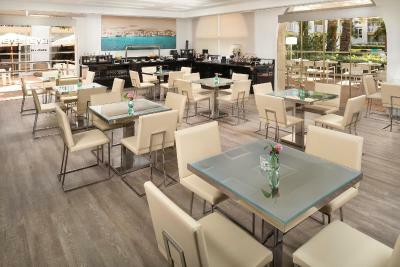 Excellent service in the Level Lounge, the perfect place to relax in the afternoon. The heated indoor pool was a great addition for this time of year. Rooms are average, beds aren’t comfortable, room had an awful view of a derelict hotel. Hotel was half empty and could have given us a Better room. There was nobody to take care of me and my suitcases when I arrived. Room was not furnished to satisfy my needs. I would have liked a small desk and a proper chair. There best rooms are facing a parking lot and a stinky river. I am lucky I only booked this for one night. Had way better experience in another hotel in Marbella.